We’ve already introduced this 2013 year McLaren before, and you can see all engine specifications out there. Last time we did that introduction, this McLaren model was on F2.01 Forgiato Wheels. This time, we are introducing it with Forgestar CF5 Rotary Forged Concave Wheels. These gloss black powder coated wheels featuring sizes at the front – 19×8.5, and at the rear – 20×12. 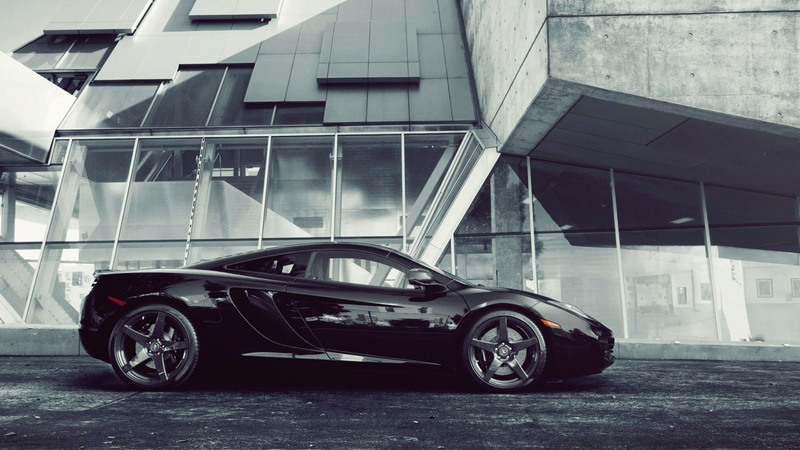 Already good looking McLaren MP4-12C fitted on nice looking wheels looks just fabulous. This car brings the prestige with its luxury, modern looks, extreme engine power and all other things that just must be together in a modern sports car. Pirelli PZero tires featuring at the front – 235/35 R19, and at the rear – 305/30 R20. Car’s weight distribution is 42.5 percent at the front and 57.5 percent at the rear. This car looks great not just from the outside. When you get inside this beautiful car, everything looks really good. This car comes with so many great features that you just can’t say anything bad about it. The interior not just looks good, but it also feels comfortable when you get inside the car. It looks from the inside like a future car. Everything shines with modern technology and that gives you a feeling that you’re sitting in a really special car. You get all this beauty for less than 250,000 USD ($) which might seems a lot, but it’s nothing compared to the quality of what you get. Competitive models are: Ferrari 458 Italia Spyder, 2013 Maserati GranTurismo Sport.